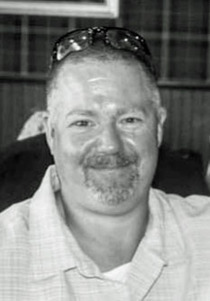 Robert A. Hyer, 47, a lifelong resident of Middletown, peacefully passed away Monday, December 3rd, at Riverview Medical Center. Bob was a truck driver with R.J. Davis Transportation out of York, Pa. When he was not working, Bob enjoyed riding his motorcycle and driving around with his stepfather in his '57 Chevy. He also enjoyed being around water, whether swimming in his pool or spending time at the beach. One of Bob's favorite pastimes was playing games. He loved to play cards or shoot a game of pool with his dad and his son was a fierce opponent in chess and Monopoly. A Celebration of Life will be held on Sunday, December 9, 2018 from 12 - 4 pm at Yesterday's Restaurant, rt. 35 , Hazlet.